How many calories can you burn with Pilates classes? 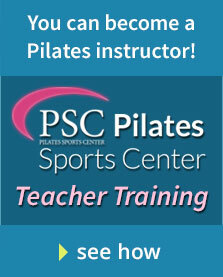 How many calories you burn during a Pilates class depends on the intensity of the workout. A few other factors that come into play are the duration of the session, your overall level of effort, and your weight. This last is due to the fact that larger people will burn more calories during a workout because they have to lift and move more body weight than their lighter counterparts. Taking these variables into account, you can burn up to 500 calories per hour with Pilates classes. If your current diet does not change, this means you can lose a pound a week simply by adding one hour of Pilates to your daily routine. And weight loss is only one of the benefits of Pilates. It also increases flexibility and strengthens your core, both of which improve posture and balance and protect you from injuries. Another great result is a lower BMI, which means a healthier fat to muscle ratio in your body. Whether your goal is weight loss, muscle toning, flexibility, improving core strength or all of the above, the experts at Propel Pilates can set you up with a program that will not only meet but exceed your expectations. If you’ve ever tried to lose weight by counting calories alone, you know that it can be a frustrating and slow process. Adding an exercise like PIlates into your routine leads to quicker results. The best part is that Pilates is fun, which means you’re far more likely to stick with it. Doing a particular exercise because you’ve heard it’s good for you or burns a lot of calories may be motivating for a short period of time, but won’t keep you going in the long run. At Propel, we wholeheartedly believe that If you want to be successful at losing weight and getting fit, you need to find something you love to do, which is why we are committed to providing a variety of classes that will be sure to keep your interest. We offer individual classes as well as group classes in our San Diego studio. We also have full packages that include personal training and diet programs. And, we take a lot of pride in the fact that we have on staff the best teachers in Southern California. Call or come by the studio today to learn more about how many calories you can burn per hour of Pilates, about our amazing instructors, and how we can help you look and feel better in a matter of weeks!